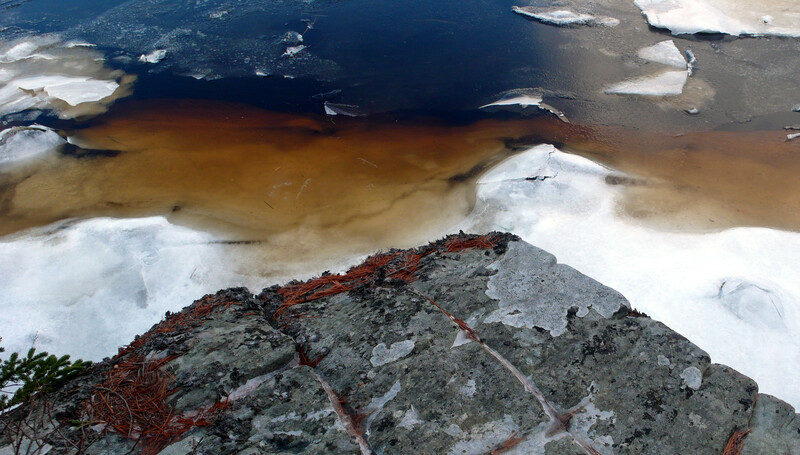 Blue water is brown with sediment; grey rock is red with lichen. Our interactions with others colour us and make us more interesting. picture the rock clean and monochromatic like cement.